It was an iconic moment in British indie music – finally, after the golden age of Oasis and Blur was long gone, a new, acne-clad crew of Sheffield boys had arrived to save rock ‘n’ roll. “We’re Arctic Monkeys,” said lead singer Alex Turner, only nineteen years old at the time. “Don’t believe the hype.” It was 2005, and Arctic Monkeys were about to play on national television for the first time. With his shaggy bowl-cut and schoolboy demeanor, Turner played the first chord of “I Bet You Look Good On The Dancefloor,” the hit single from Arctic Monkeys’ first album, Whatever People Say I Am, That’s What I’m Not. Five chart-topping albums and nine years later, those days bar-hopping in the suburbs of England are history. Since then, Arctic Monkeys have transformed from outspoken teenagers into smooth, slick greasers. The four-piece moved across the Atlantic to California, where they dress in head-to-toe leather, race motorcycles around the desert, and find new supermodel girlfriends for every new NME cover story. The calm melodies of “Only Ones Who Know” evolved into the gritty, bold guitar riffs of “Do I Wanna Know?”, and the unrequited love pangs that define Humbug were replaced by the unflinching sensuality of AM. In Arctic Monkeys’ discography, Humbug is often overlooked in exchange for albums with more upbeat, danceable, hook-heavy songs. Albums like Whatever People Say I Am, That’s What I’m Not lack the heartbreaking crooning and lyrical mastery of Humbug – especially the Humbug b-sides. If Arctic Monkeys were Picasso, Humbug and its b-sides would be the band’s Blue Period; these songs may be somber and gloomy, yet they’re arguably more powerful than anything Arctic Monkeys have produced before. With help from Queens of the Stone Age’s Josh Homme in the studio, there’s something hypnotizing about the layering of repetitive, vivid guitar riffs and Alex Turner’s vocals, as in the “Cornerstone” b-side “Catapult”: If his whisper splits the mist, just think of what he’s capable of with his kiss? 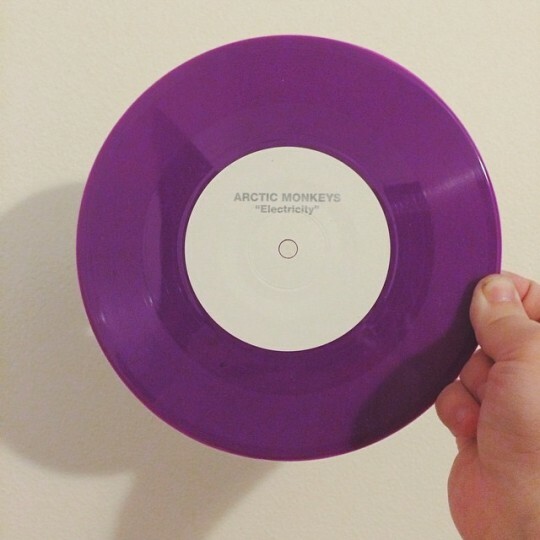 The last of four songs on the “My Propeller” single, “Don’t Forget Whose Legs You’re On,” displays a side of Arctic Monkeys that’s not often seen. With a title nearly as tongue-in-cheek as that of the 2011 single “Don’t Sit Down ‘Cause I’ve Moved Your Chair,” this b-side couples a persistent, high-pitched piano chord with a distant, whispery vocal and a cyclical guitar riff. Never before played live, “Don’t Forget Whose Legs You’re On” sounds like what Arctic Monkeys may have played if they were the in-house band at a New York City speakeasy in the 1920s – it’s jazzy and secretive, yet rebellious. Next Story → Monday Playlist: Happy Memorial Day! Love this, Humbug was my favorite album for a very long time so well done!